Vegan meals get a bad rap but with the right ingredients and recipe, they can be as delicious as any other dish. A vegan diet excludes all foods made with animal products, even honey, which can present a challenge for some. When initially changing your eating habits, stick with foods that are naturally vegan like rice, some pastas, tofu, fruits, vegetables, nuts, olive oil and coconut oil and the like. After you become comfortable cooking in this setting, feel free to experiement and add in other, more unfamiliar foods, to your pantry. These five vegan recipes are approachable, affordable and tasty. Whether you are vegan or not, these meals will please anyone who appreciates a good home cooked meal. Pesto pasta requires only 15 minutes to prepare before it's ready to eat. Whole wheat vegan pasta is tossed in a homemade pesto sauce with fresh cherry tomatoes and chopped walnuts. This recipe includes pecorino romano cheese in both the pesto and as a garnish. Vegans can simply leave this ingredients out completely or add a sprinkle of nutritional yeast. 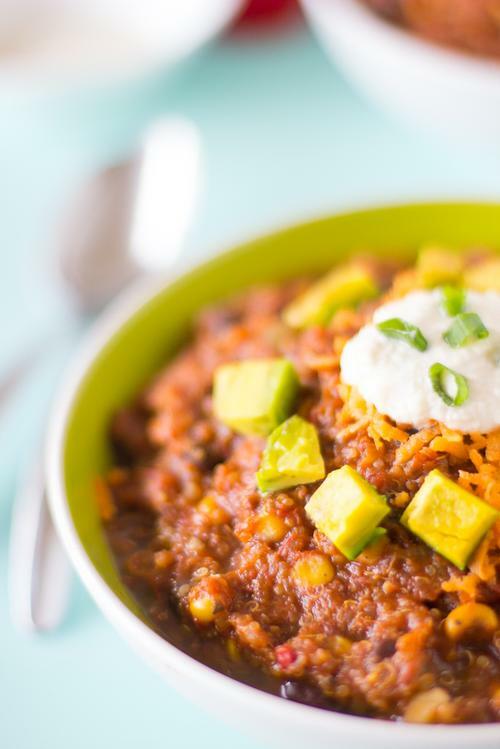 A warm bowl of chili can be one of the most comforting meals during the fall, especially on cool evening. This version is made in the slow cooker so it will be ready to eat whenever you are. Since most of the traditional chili toppings are off limits to vegans, garnish your bowl with cashew cream, non-dairy cheese, fresh chopped cilantro, avocado and pickled jalapenos. 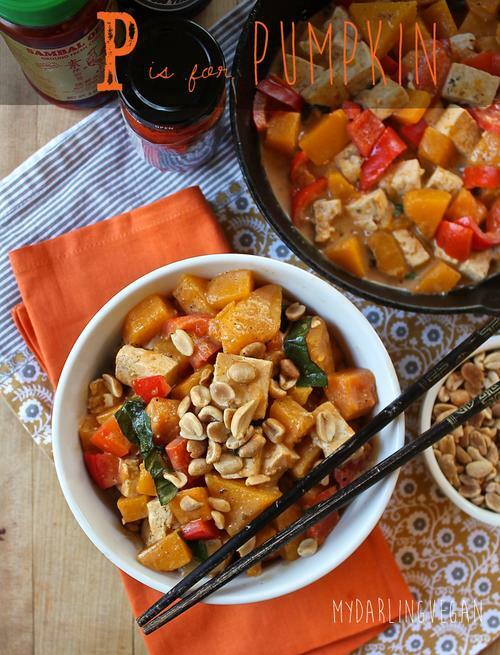 Pumpkin peanut curry is filled with the flavors of fall. Fresh pumpkin is cooked in a coconut curry sauce with tofu and red bell peppers. Toasted peanuts add crunch and a salty bite. Garnish this dish with fresh chopped cilantro. If you cannot find fresh cubed pumpkin or do not feel like cutting one up yourself, feel free to substitute with butternut squash. You can either eat this curry like a soup or ladle it over rice or rice noodles. Stir fries are a quick and easy meal to whip together for any night of the week. 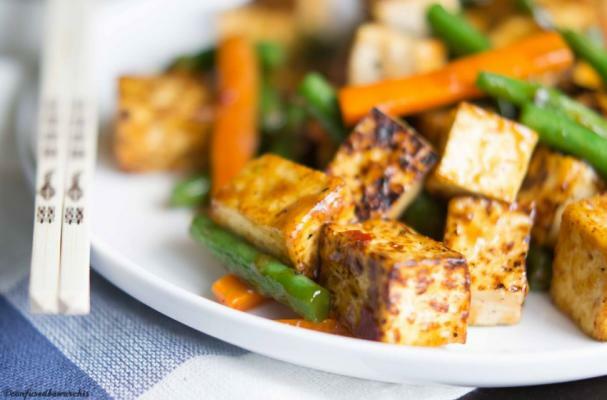 For this dish, cubes of tofu are cooked with green beans and carrots and seasoned with aromatics such as ginger and garlic. While not all Asian condiments are vegan, staples such as sesame oil, soy sauce and sriracha luckily are. Serve this stir fry with rice. Cheese may be one of the hardest foods to give up as a vegan but this recipe from vegan pepperjack cheese is your saving grace. This cheese is delicious on crackers, in sandwiches, on burgers , and even on its own. Nutritional yeast and tahini (sesame seed paste) give this vegan pepperjack cheese a depth of flavor that's difficult to find in non-dairy cheeses. The red bell peppers and jalapeno look like confetti scattered throughout the cheese.